We are pleased to inform our valued readers that after the recent launch of KIA Grand Carnival in Pakistan, they are launching their first commercial vehicle by the name of KIA Frontier K2700 in Pakistan. The well-known South Korean automotive manufacturer KIA is going to launch different vehicles in collaboration with Pakistan’s Yunus Brothers Group. The company has also invested an amount of $150 million for an auto assembly plant in Pakistan. The price of KIA K2700 frontier standard in Pakistan is Rs.19,99,000, whereas the price of KIA K2700 Frontier XL is Rs.20,49,000. KIA Frontier K2700 is going to be a commercial pickup vehicle which will be equipped with 2.7-liter diesel engine mated to 5-speed manual transmission. The engine has the capability to produce 80hp at 4000rpm and a torque of 165Nm at 2400rpm. The dimensions of this commercial vehicle are 2180mm length, 1630mm width, and 844mm height. It will be featuring a 60liter fuel tank. 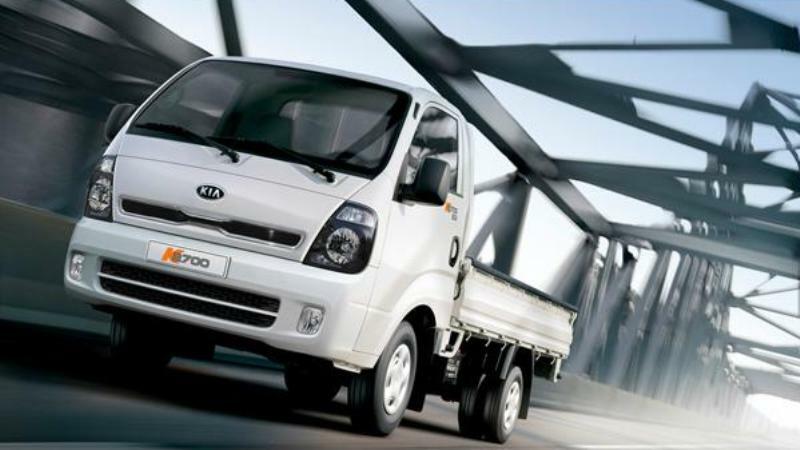 Some other salient features of this commercial vehicle by KIA includes power windows, power steering, fog lamps, disc brakes USB&AUX option, AC & heater and 3-way opening rear deck. K2700 Frontier is going to be launched in two trims, XL and standard. The XL trim along with standard features will be coming with 6-wheel configuration and a bigger deck as compared to the standard trim. The company will be offering 100,000 or 4 years official warranty with both the vehicles.